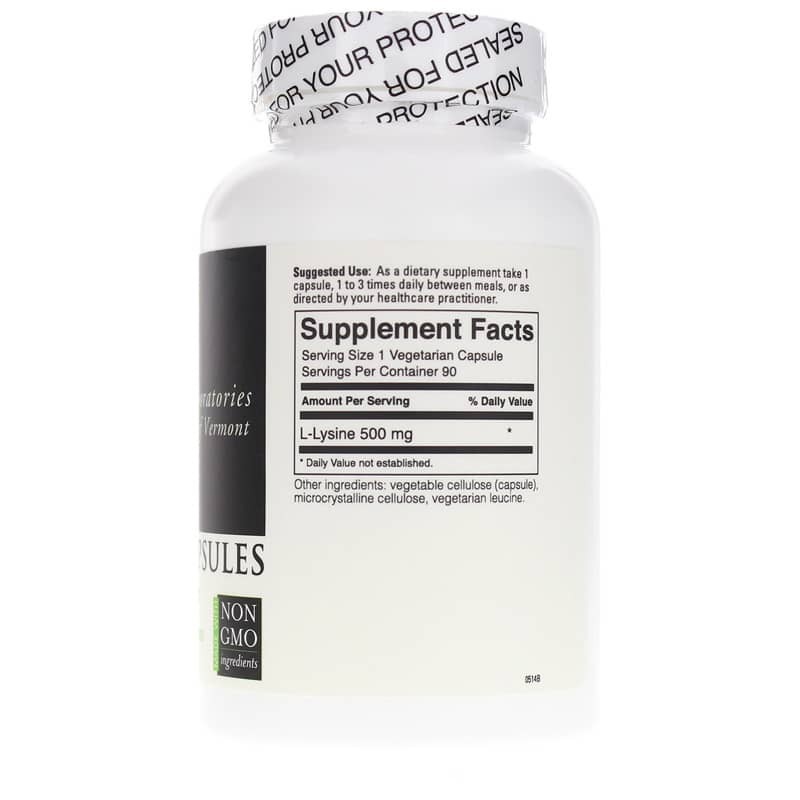 L-lysine is s basic building block of protein throughout your body, and is an essential amino acid that is needed for optimal health. It isn't naturally produced by your body, but is available in supplement form for daily use. 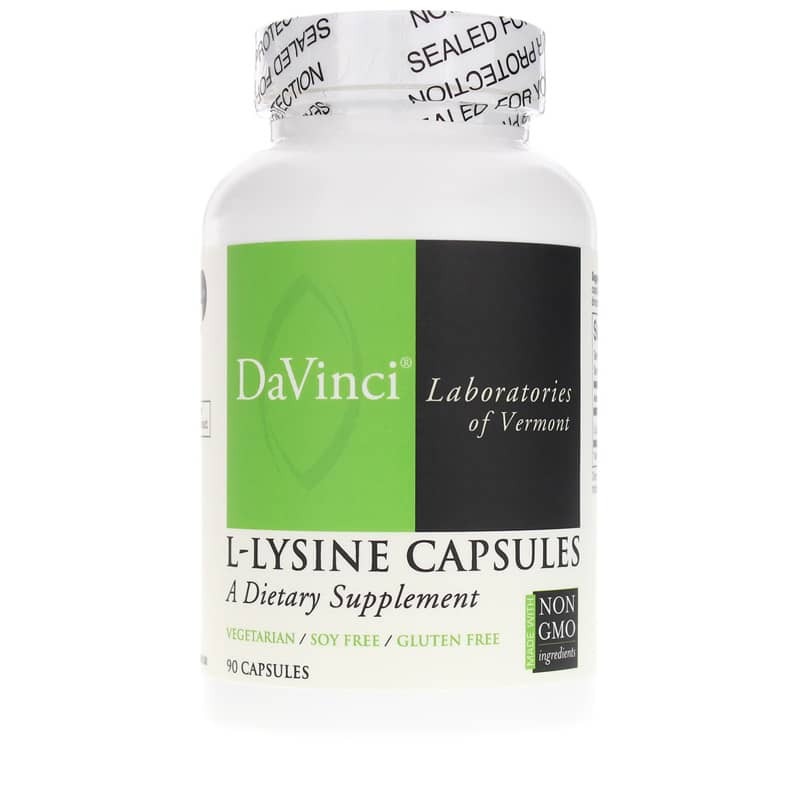 DaVinci Labs L-Lysine Capsules are a natural dietary supplement that delivers 500mg of l-lysine in every vegetarian capsule to support your overall health and wellness. Just one easy-to-swallow capsule up to three times every day may give your body the support it needs to stay on the all-natural pathway toward optimal health and an increased sense of wellness. Order yours now, and see the difference it may be able to make. 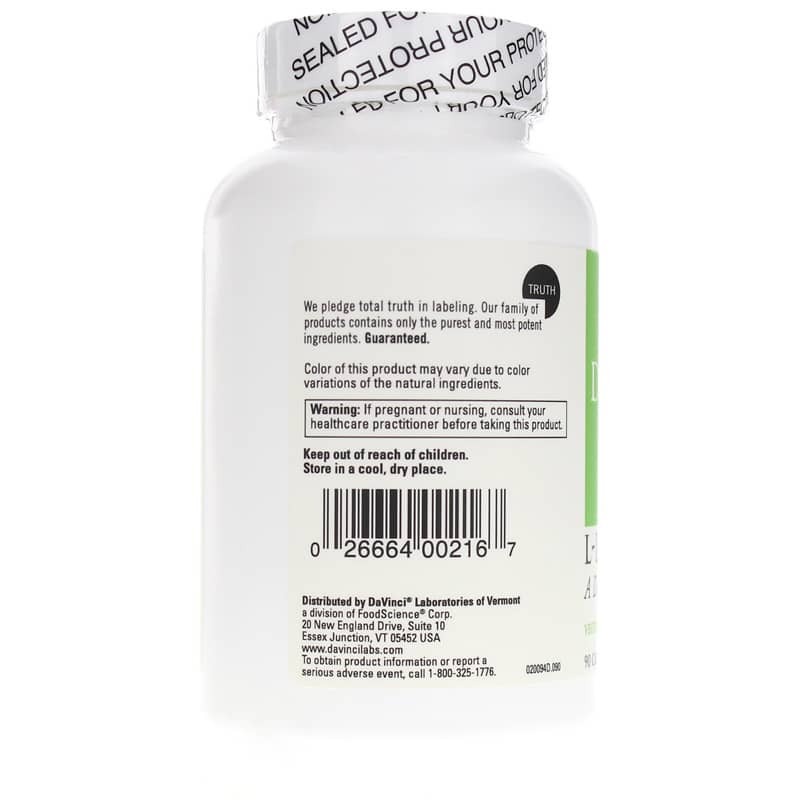 * Other Ingredients: vegetable cellulose (capsule), microcrystalline cellulose, vegetarian leucine. Contains NO: gluten, soy, GMOs. Adults: As a dietary supplement take 1 capsule, 1 to 3 times daily between meals, or as directed by your healthcare practitioner.